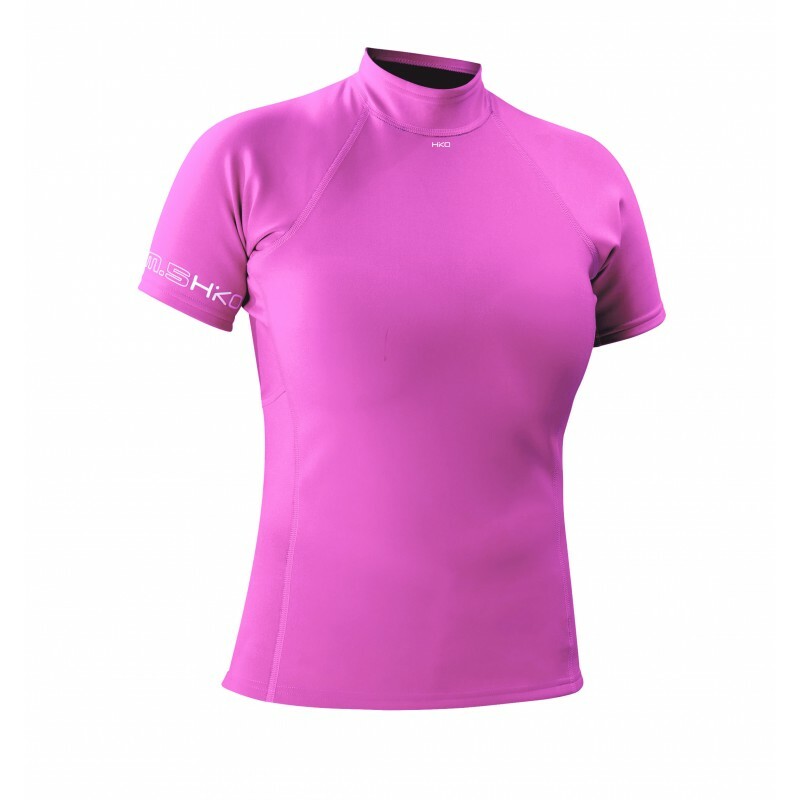 Short sleeve neoprene t-shirt with increased colar for women. Just 0.5 mm thin neoprene gives you the feeling of wearing a second skin. Neospan is extremely flexible so it does not restrain movement. Slim products are great to use on a cold summer day during a long stay in the water to avoid the shivers. SLIM.5 is designed for tighter fit resulting in higher insulation. Extra thin and extremely elastic double sided neoprene rubber. Suits made of this neoprene are highly comfortable, they fit as a skin. Short sleeve neoprene t-shirt with increased colar for women. Just 0.